When considering environments, a strict individual-centered perspective is called for. Only individuals reproduce. Hence, the description of the environment should contain all information relevant for predicting that reproduction, including any direct influences exerted by conspecifics. A second restriction is that the environment should have some stability. It should not keep changing directionally over time, nor should one consider more environmental regimes occurring with nonzero probabilities that once realized exclude each other for all time. More technically expressed: environments should be ergodic. Ergodic environments comprise point equilibria, limit cycles, and most relevant chaotic and stochastic environmental regimes. Another point is that to cover the ubiquity of short-term environmental fluctuations, evolutionary environments should be considered as extended in time. 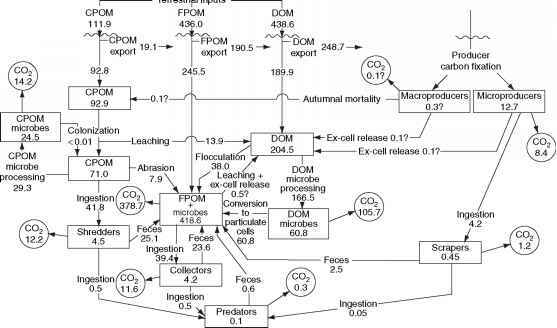 To separate the evolutionary concept of environment from the instantaneous perspective common in ecological models, it is useful to refer to the instantaneous values taken by the evolutionary environment as environmental conditions. General evolutionary environments can then be characterized as 'ergodic stochastic processes with functions of time as realizations to the environmental conditions'. A final restriction is that it only makes sense to look at environments that can occur in (some appropriate abstraction of) the real world, be it an observed time series or the output of a community dynamical model. As this article concentrates on the long-term view, this means that the only relevant environments are ones that can be realized as (outputs from) community dynamical attrac-tors, including stochastic ones, either in ecological reality or in the world of ecological models.